Chia seed is one of my favorite things in the whole wide world. It’s dietary fiber content keeps my digestive system singing (1 oz. of chia contains 10.7 grams of fiber, flax seed has 5.6 grams). When coupled with something that’s high in sugar, it helps to balance blood sugar, improve insulin sensitivity and help me maintain a healthy weight. It acts as a fabulous thickener for desserts and puddings. 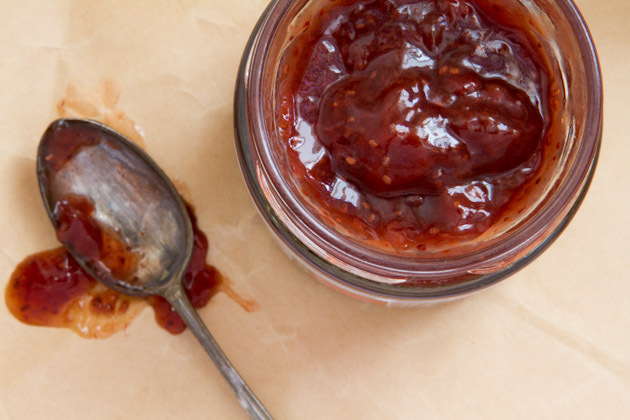 I also love fruit spreads… but finding a brand that’s free of extra sugars, organic, reasonably priced, guaranteed gluten-free, and made with chia seeds is well, impossible. Awhile back, I posted a chia seed recipe on Facebook and Divine Harvest, a Canadian fruit spread company, commented on the recipe. 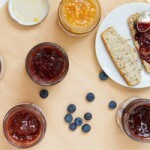 I headed over to their page and learned that their products are the epitome of my strawberry lovin’, sugar hatin’, chia affair havin’, fruit spread diggin’ dreams. 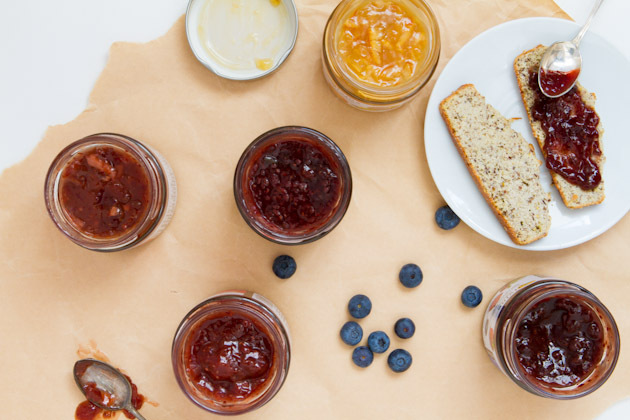 Their fruit spreads are made from a combination of organic fruit, apple juice, chia seeds, non-GMO corn starch and chia oil. That’s it. 1 tablespoon = 20 calories and only 4 grams of (natural) sugar. And, hold on to your chair – one of their 5 flavors is cranberry & orange. It’s like indulging in Christmas dessert every gosh darn morning. They also have raspberry, berry, strawberry and 3 citrus flavors, but I’m telling you, cranberry & orange is where it’s at. 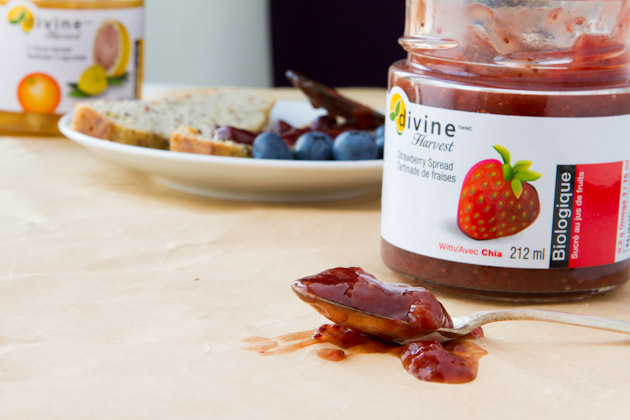 And, just because Divine Harvest is so lovely, they’re offering CANADIAN readers a chance to win a full package of their fruit spreads, all 5 flavors delivered right to you. To enter to win, head over to the Healthful Pursuit Facebook page. If you don’t have Facebook, you can enter on Twitter by clicking here. If you do not have Twitter or Facebook, you can enter here. This post was sponsored by Divine Harvest. All opinions expressed herein are those of Healthful Pursuit Inc. and are not indicative of the positions or opinions of XYZ. Thank you for supporting the brands that I believe in and choose to feature here.